The European Commission has approved, under the EU Merger Regulation, the proposed acquisition of Solvay's nylon business by BASF. The decision follows an in-depth review of the proposed transaction, which involves Solvay and BASF, which both manufacture Nylon compounds and nylon fibres. Nylon fibres are used in particular for clothing and sportswear. The manufacture of nylon compounds and nylon fibres requires as a key input adiponitrile ("ADN"), an oil derivative. BASF and Solvay have dominant or strong market positions throughout the nylon value chain, and in particular the value chain of a type of nylon called “nylon 6.6”. Following its in-depth market investigation, the Commission identified the following competition concerns with the transaction as originally notified: (i) it would lead to a reduction of the number of suitable suppliers and likely price increases in a number of markets related to the nylon industry in the European Economic Area (EEA); (ii) due to the limited number of suppliers of intermediate products, the merged entity would also have the ability and incentive to restrict its competitors' access to essential inputs including ADN, nylon 6.6 and others in the EEA. To address the Commission's competition concerns, BASF and Solvay offered the following commitments: (a) the divestiture of Solvay's facilities at Belle-Etoile and Valence (France), Gorzow (Poland), and Blanes (Spain) to a single suitable buyer; (b) the creation of a production joint venture in Chalampé (France) between the merged entity and the buyer of the divested assets, for the production of adipic acid; (c) long-term supply agreements for ADN to meet the divestment business' requirements. The commitments fully remove the overlap between BASF and Solvay in the markets where the Commission had identified competition concerns. Therefore, the Commission concluded that the proposed transaction, as modified by the commitments, would no longer raise competition concerns. The decision is conditional upon full compliance with the commitments. Commissioner Margrethe Vestager, in charge of competition policy, said: "Nylon is used in many different types of products, not only textile or carpets but also in car components, to make them lighter and more environmentally friendly. 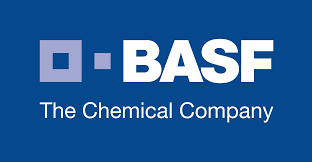 Our decision willallow for the creation of a significant European player in this market because the commitments offered by BASF and Solvay ensure that the merger will not lead to higher prices or less choice for European businesses and, ultimately, consumers." The full press release is available online in EN, FR, DE, NL.